Want to feel more connected and be part of a community? Could creativity and fun play a bigger part in your life? Are you curious about theatre? 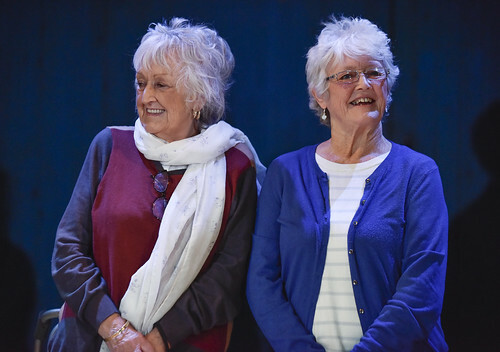 From March 2019, on the first and third Monday of each month*, the Royal Exchange will host a day-long programme of events for older people including practical drama workshops, writing and play-reading activities as well as free activities. Elders aren’t just older – they’re wiser. In a good society, older people are respected for their experience, for their knowledge and for everything they can teach us. 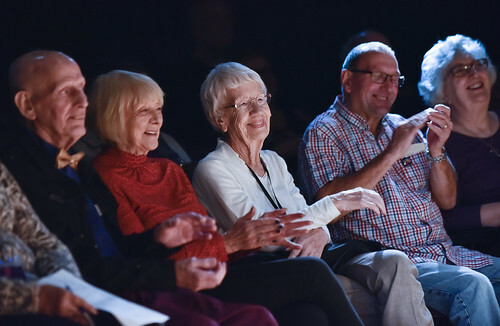 The Elders is for older people who want to feel connected, learn more about theatre-making, be creative and have fun. 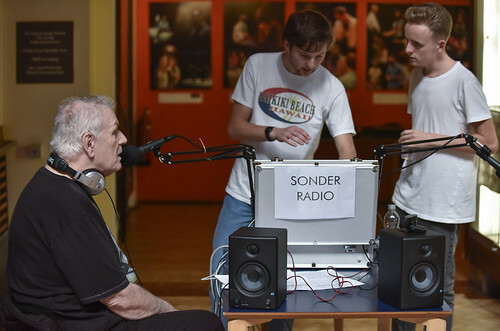 * Due to the Bank Holiday, there are no Elders sessions on 6 May. Come and take part in FREE creative activity in the hall, meet friends, or book onto one of the scheduled workshops happening throughout the day (£6). No experience is necessary, just a curious mind and a willingness to try. 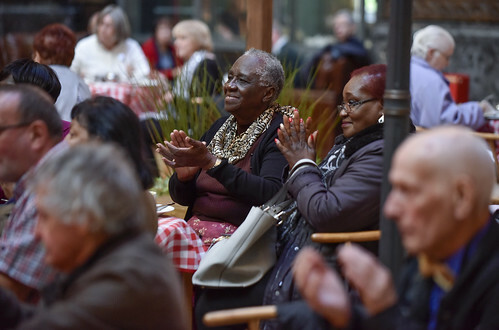 We’re also delighted to be hosting a Dementia Café in the hall in partnership with Alzheimer’s Society, Admiral Nurses, Manchester Carers Forum and Greater Manchester Mental Health NHS Foundation Trust. "Coming here you've got a sense of purpose, it's about belonging to something."  Join this practical session to explore a different aspect of theatre-making led by a professional theatre-maker. Sessions are fun, creative and informal. No experience is necessary, just a curious mind and a willingness to try. Join this session to explore approaches to creative writing led by a professional writer. No experience necessary, just bring a pen, paper and an open mind. Join this session to gain knowledge and learn about a particular aspect of theatre-making. Each session is led by a different professional artist. 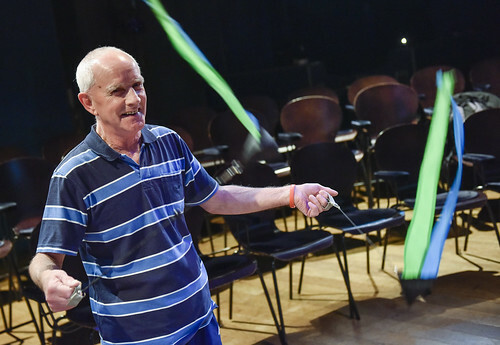 This might include an expert maker, voice coach, movement director or a member of our backstage departments. 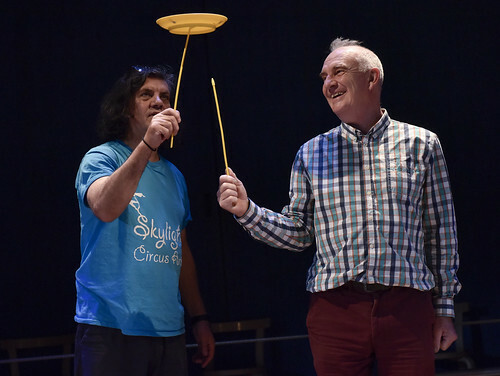 Have a go and take part in activities to learn more about how we stage plays. Join this session to explore a play linked to the one on our main stage. Play a part and read aloud or simply listen. 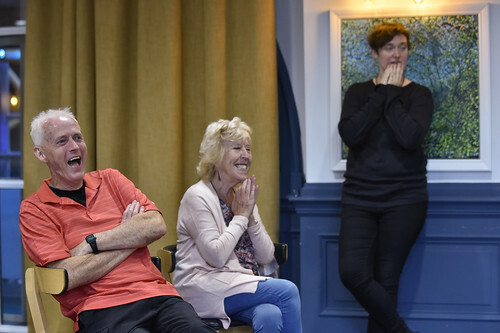 Discover new plays, empathise and share your thoughts and ideas on a range of scripts. Are you living with Dementia? Do you care for someone living with Dementia? Do you want to know more? 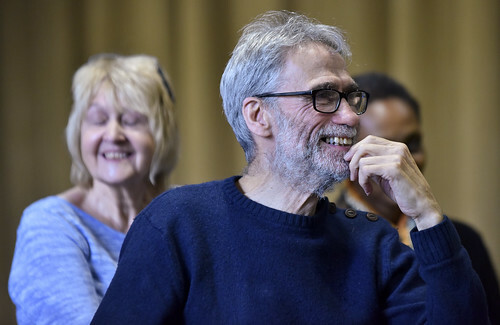 Come and join this relaxed and welcoming group to chat and take part in creative activity. 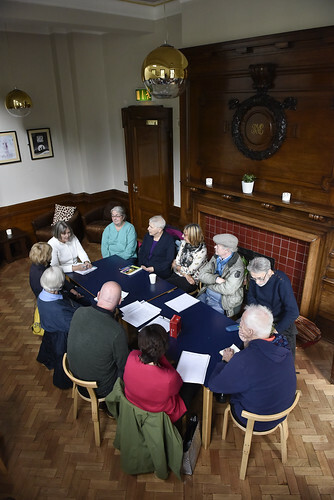 Our Dementia Café includes professional support and advice from organisations such as Alzheimer’s Society, Admiral Nurses, Manchester Carers Forum and Greater Manchester Mental Health NHS Foundation Trust. TICKET PRICES: £6 per workshop session. The Dementia Cafe is free to attend. During each day, there will be other activity in the Great Hall (puzzles, poetry writing, games and story-based activity) which is free to attend. 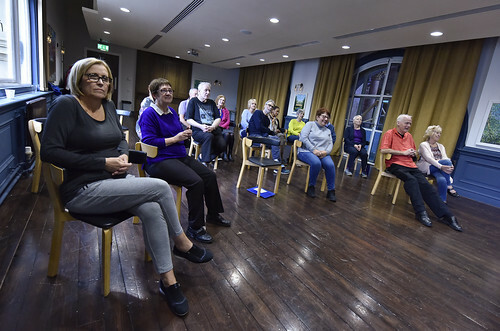 The Arts Pot scheme can provide financial assistance for course and/or travel costs, this is to make sure that everyone can access our programme and that cost is not a barrier to taking part with us. 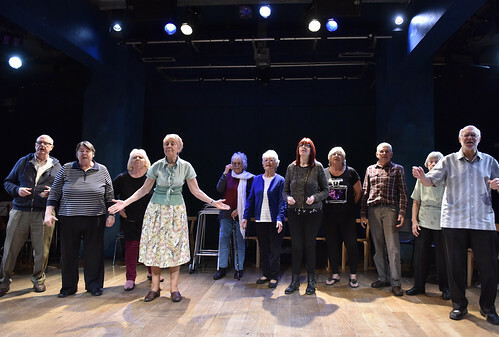 If you would like to enquire about financial support please reserve your place at the Box Office then click here to download the Arts Pot form.